We can machine Type B venturis over inlet and outlet sections over the whole range of ISO 5167. 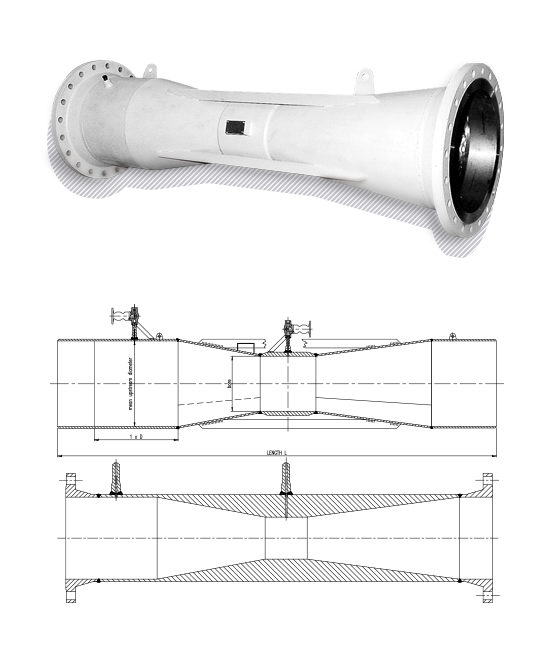 Type C venturis are made out of a machined throat section and sheet steel inlet and outlet conesections. The throat section can be honed to achieve a smoother surface roughness. Type C venturis are reinforced with stiffeners and supplied with lifting lugs.